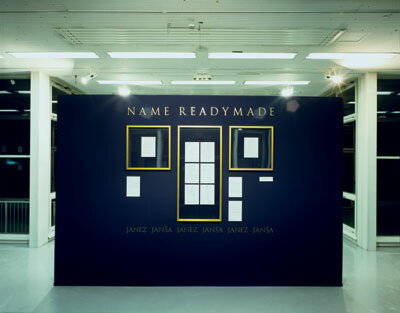 The exhibition NAME – Readymade by three Slovenian artists - who all changed their names to Janez Janša in the summer of 2007 – is focused on the acts of changing one's personal name and the effects of such gesture. Works exhibited are generated by the reality itself. Janez Janša, Janez Janša and Janez Janša cut right in the midst of their own realities and the reality of the space and time, in which they work. For this purpose they used procedures typical for art – transformation, translation, representation and mimicry. They turned around the classical relational scheme between art and life as it was developed in the 20th century. Art in previous century is redefined by way of reality entering into artistic contexts without mediation (so that Badiou can define the 20th century as the passion for the real), while Janša, Janša and Janša want to achieve the opposite so that their methods cut deeply into their material lives and the lives of their immediate surrounding. By selecting the materials and setting these materials up in a specific way together with a holistic dramaturgical concept, this exhibition opens up a series of questions, from what is real and what is mediated to the questions of identity and political in art and the status of an art object. The exhibition will be accompanied by a book with exhaustive studies and rich visual materials. The book is a parcours through different stages and aspects of the act of name changing. 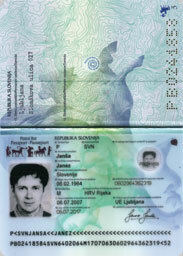 It also brings different writings on the recent work by Janez Janša, Janez Janša and Janez Janša. The book is structured in 2 parts: essays on name changing by experts in the field such as Antonio Caronia, Catherine Sousloff, Zdenka Badovinac, Aldo Milohnić, Amelia Jones, Blaž Lukan and Tadej Kovačič, and documents and writings on different actions and projects by Janša, Janša and Janša. Rich visual material makes this book an unique document of the work that has provoked wide range of interpretation in artistic as well as in general audience. The renowned international festival Steierischer Herbst, which takes place in Graz, Austria, every year, has invited us to take part in the festival this year with an independent exhibition entitled NAME Readymade, curated by Ms. Zdenka Badovinac, Director of Moderna galerija, Museum of Modern Art, Ljubljana. In the exhibition, which will be on display between 4 and 25 October 2008 at the Forum Stadtpark in Graz, we are going to exhibit our personal documents and other works of art. 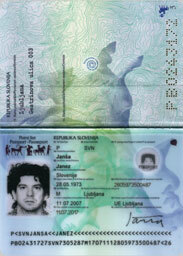 Since our documents are public documents as well as works of art (please find enclosed expert opinions by the Director of Moderna galerija, Ljubljana and a certified court assessor and expert for the field of art, also from Ljubljana), Janez Janša duly lodged an application with the appropriate Administrative Unit to issue temporary personal documents; the Administrative Unit rejected the application (see attachment). 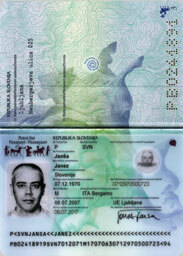 As we are not aware of any other way of acquiring substitute documents, which would enable us to exercise – for the duration of the exhibition, where our documents will be exhibited as works of art – our constitutionally guaranteed human rights and basic freedoms, in particular freedom of movement (Article 32), freedom of speech (Article 29) and freedom of artistic expression (Article 59), we are contacting You to request that temporary personal documents be issued. We hope that you will respond to our request soon. 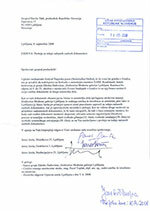 - Rejection issued by the Administrative Unit Ljubljana, 5 June 2008. This book brings together different essays and documents on name changing and on the recent work by Janez Janša, Janez Janša and Janez Janša.